Our limited obstetrical ultrasounds look for three things. Confirm baby is in the uterus. Check and measure the heartbeat. A positive pregnancy test is an indicator of pregnancy. 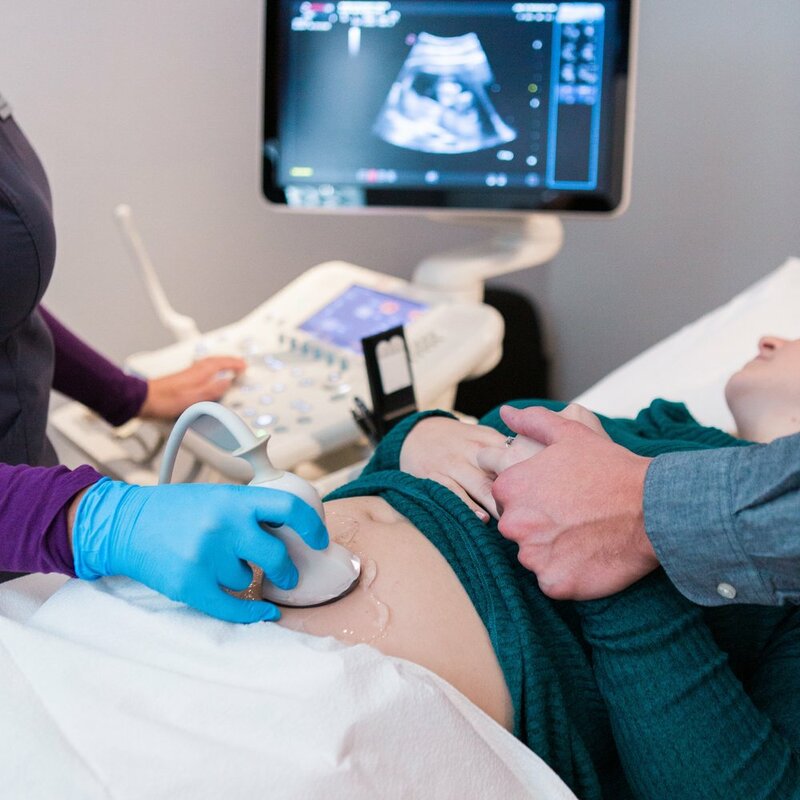 Ultrasound is used to confirm whether or not your pregnancy is viable, which means it is capable of developing under normal circumstances. Ultrasound also allows you to gain an accurate assessment of how far along you are. This information is particularly critical if you are considering an abortion because costs and procedures are based on these factors. It’s important to have the answers provided through an ultrasound exam prior to making a decision about your pregnancy.